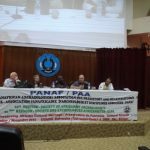 The ICAHM Africa Initiative was launched at the Joint Pan African Association/ Society of Africanist Archaeologists Conference November 1–7, 2010, University Cheikh Anta Diop in Dakar, Senegal. 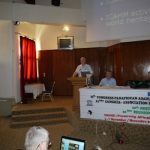 At this conference, ICAHM presented a symposium entitled, The Potential Role of the World Heritage Convention, ICOMOS, and ICAHM in African Archaeological Site Preservation and Economic Development, organized by Dr. Douglas C. Comer (USA) and Prof. dr. Willem J.H. Willems (the Netherlands), Co-Presidents, ICAHM. A one-hour question-and-answer and discussion period followed formal presentations. Discussants w: Webber Ndoro, Willem J.H. Willems, Nathan Schlanger, Menno Welling, Michel Doortmont, Sam Makuvazas, and Douglas Comer. See below for abstracts. 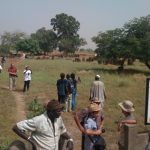 The Africa Initiative will work through States Parties and the African World Heritage Foundation to identify archaeological sites in Africa of exceptional historical and scientific merit. We will facilitate inclusion of these sites on Tentative Lists, and some, at the digression of States Parties, might be nominated to the World Heritage List. 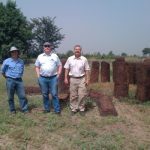 Below are symposium abstracts and links to presentations by ICAHM Co-Presidents Douglas Comer (USA) and Willem J.H. 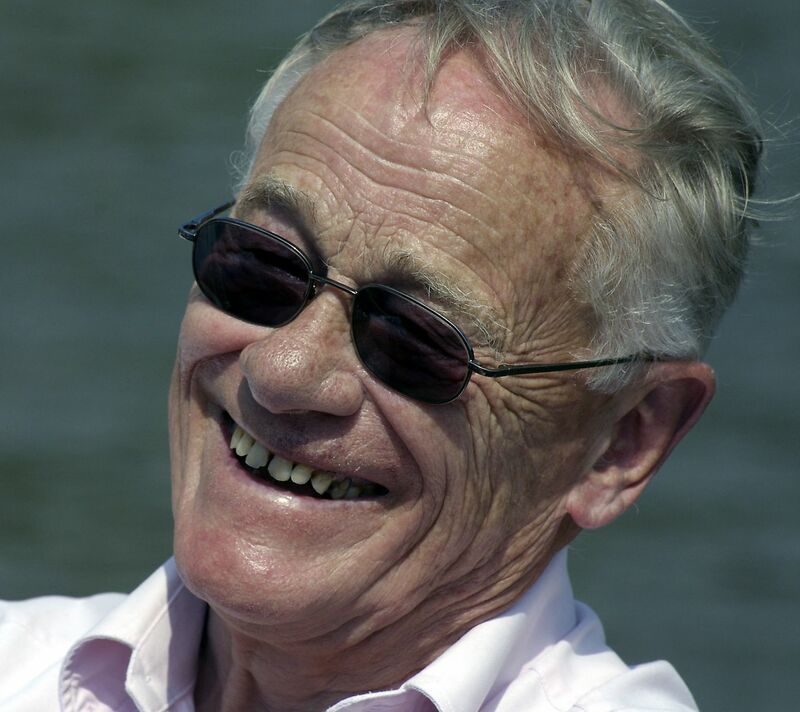 Willems (the Netherlands), as well as links to key documents that should be taken into consideration by those suggesting sites of exceptional merit. Please email all suggestions to africa@icahm.icomos.org. The Convention Concerning the Protection of World Cultural and Natural Heritage, commonly known as the World Heritage Convention, http://en.wikipedia.org/wiki/World_Heritage_Site – cite_note-2 was adopted by the General Conference of UNESCO on November 16, 1972. It has since been ratified by 186 countries (“states parties”), more than any other international convention. The Convention established a World Heritage Committee, composed of representatives of 21 states parties, who are elected at a General Assembly held every three years. The World Heritage Committee maintains the World Heritage List of places possessing “outstanding universal significance.” In 2009, there were 890 World Heritage Sites, of which 689 are cultural, 176 are natural, and 25 are mixed properties. The International Council on Monuments and Sites (ICOMOS) advises the World Heritage Committee in regard to nominations of cultural sites to the World Heritage List and it monitors these sites once listed. In turn, the International Scientific Committee on Archeological Heritage Management (ICAHM) advises ICOMOS on archaeological sites, which comprise most of the cultural sites. Designation as a World Heritage Site carries with it great prestige and the potential for considerable economic benefit. Africa as a region has disproportionately few world Heritage Sites. ICAHM is concerned with this disparity because Africa contains many of the archaeological sites that are tremendously important to human evolution and history. For that reason, ICAHM would like to begin discussions about identifying sites that are very likely to be eligible for inscription on the World Heritage List. In this session, we will provide the pertinent history of the Convention, ICOMOS, and ICAHM; discuss the nomination process and which nominations are most likely to succeed; and outline management strategies that ICAHM economic studies indicate as those most likely to preserve archaeological sites while enhancing economic benefit to local communities and states parties. A global study carried out by ICOMOS from 1987 to 1993 revealed that Europe, historic towns and religious monuments, Christianity, historical periods and ‘elitist’ architecture (in relation to vernacular) were all over-represented on the World Heritage List; whereas, all living cultures, and especially ‘traditional cultures’, were underrepresented. 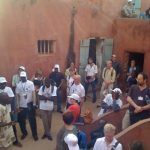 Despite this, as a recent ICOMOS report notes, “The World Heritage Convention has been dubbed the flagship programme of UNESCO, setting the standard for conventions, instruments and programs for conservation. The number of States Parties to the World Heritage Convention now numbers 186, making its reach nearly universal.” Further, more States Parties have signed this document than have signed any international treaty. To understand better how this situation came about, and how to rectify imbalances in the World Heritage List, it is helpful to know something of the historic events that led to the creation of the List, as well as how ICOMOS, which advises the World Heritage Committee on nominations of cultural sites to the World Heritage List, and on cultural matters in general, is organized. Vital parts of ICOMOS are the scientific committees, which function as wells of expertise from which facts and educated and informed opinion can be drawn. Perhaps the largest of the scientific committees is the International Scientific Committee for Archaeological Heritage Management (ICAHM). 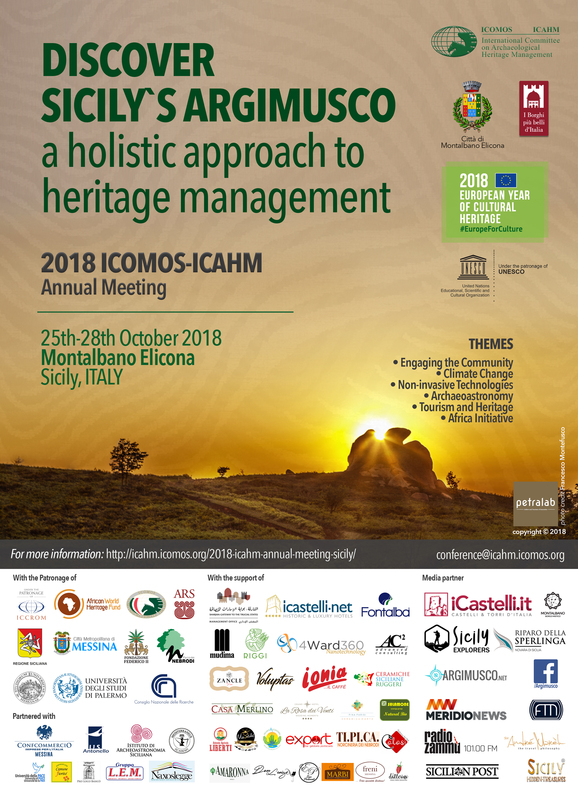 This presentation will review the history and organization of the World Heritage Convention, ICOMOS, and ICAHM, and the ways in which ICAHM plans to contribute to the Global Strategy for Future Inscriptions, as well as in supporting inscribed archaeological sites through monitoring and consultation. World Heritage Sites in Africa: Deep Roots, Long Shadows? This communication suggests a few possibilities for spreading and extending benefits from WHS status – not only in terms of economy and tourism, but also with regards to scientific research and heritage management. Precisely because the inscription of WHS in Africa is so challenging, it is important to incorporate from the onset strategies to enhance capacities in heritage management and research potential beyond the designated site as such, to the country and the region as a whole. On 27–29 April 2010, the UNESCO World Heritage Center and the UNESCO Bangkok Office organized an Expert meeting on “Upstream Processes to Nominations: Creative Approaches in the Nomination Process”, in Phuket, Thailand. The meeting was intended to stimulate creative approaches to reduce the number of properties that experience significant problems in the nomination process. As noted in the minutes of this meeting: “States Parties spend considerable time and money developing nominations which may be delayed or unsuccessful. The Advisory Bodies … are constrained in their ability to help by the adequacy of resources, and some World Heritage processes could better facilitate opportunities for them to render assistance.” In the past eighteen months, the ICOMOS the International Scientific Committee for Archaeological Heritage Management (ICAHM) has reorganized to better participate in the “upstream process.” An important aspect of this effort is to broaden ICAHM membership in order to assure input from appropriate experts, and to stimulate discussion and scholarly research in support of this process. 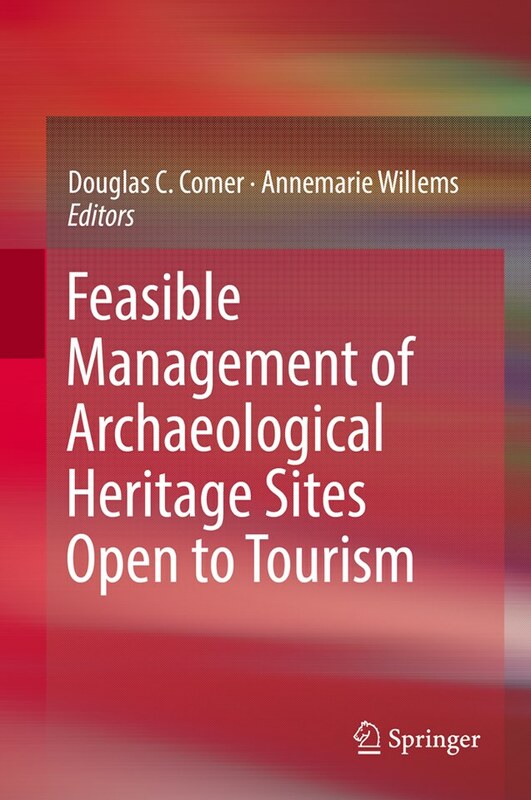 This paper will describe some the ways that we would like to pursue this, and also provide information about how to improve the probability that a nomination to the World Heritage List will be successful.